ENJOY SHAVING AGAIN: Crafted with safe, natural, plant-derived ingredients to give you the smoothest shave possible without risking razor burn. Use anywhere you shave. TSA FRIENDLY: Small but mighty, our 3.4 ounce size is carry-on compliant and good for up to 100 shaves. 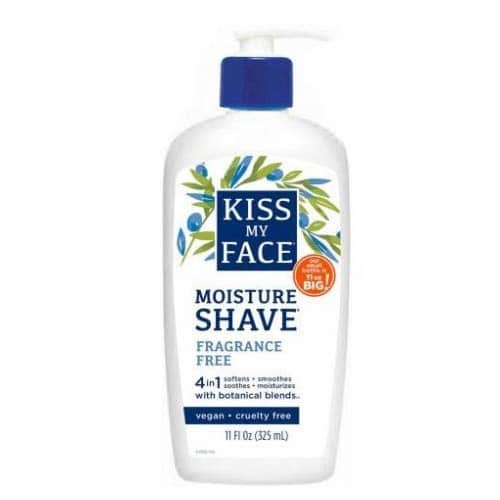 SMOOTHER SHAVE: Save your skin from redness, irritation, and bumps with a paraben free formula and NO synthetic fragrances. NATURAL INGREDIENTS: Our vegan formula includes certified organic ingredients to keep even the most sensitive skin healthy, soothed, and hydrated. CRUELTY FREE: Pacific Shaving Company’s products are never, ever tested on animals. Looking not just for ‘how to shave’, but how to get ‘the best’ shave? It’s all in your shaving cream. 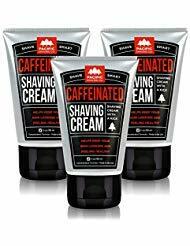 This outstanding shaving cream utilizes the many benefits of naturally-derived caffeine to help liven up your morning shave routine. It will give you an exceptional shave, help reduce the appearance of redness, and keep your skin looking and feeling healthy all day. It may not replace your morning coffee, but it will give a little extra kick to your morning routine. A little goes a long way. With safe, natural, and plant-derived ingredients, our unique non-aerosol formula is about to become your skin’s best friend. But this isn’t only about closer shaves – it’s got you covered before, during and after. Here’s what you can expect: – Softer whiskers and superior lubrication – Healthy, hydrated and soothed skin – Protection from harsh environmental factors A little goes a long way. Our small but mighty 3.4 oz. tube will last up to 100 shaves, helping keep your skin smooth (like butter!) and supple. WE’LL PRETTY MUCH DO ANYTHING TO AVOID CHECKING OUR LUGGAGE. Whether we’re off to Miami or Madagascar, checking bags is a leap of faith we’re never excited to take. Will our stuff actually meet us in Boston, Bangkok, Berlin? Will our under things be untouched and our toiletries intact? To avoid the unknowns of the checked bag experience, our line of shaving essentials is TSA-compliant, always 3.4 ounces or less. Totally cool for your carry-on. UNLIKE OTHER SHAVING CREAMS AND MEN’S GROOMING PRODUCTS, PACIFIC SHAVING CO. PRODUCTS ARE MADE WITH SAFE, NATURAL, AND ORGANIC INGREDIENTS. Our shaving cream provide great cushion, glide, and leave skin feeling moisturized and healthy-looking. Looking for how to get the best shave? You found it! Goes in 3 Pack bundle. SAY GOODBYE TO RAZOR-BURN. Innovative and effective formulations that soothe skin. Actually enjoy shaving again! COOL FOR YOUR CARRY-ON. CONCENTRATED FORMULAS IN TSA-FRIENDLY SIZES. 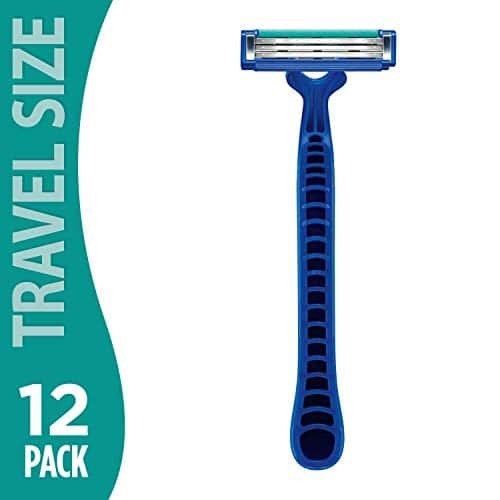 Nothing is worse than getting your favorite shaving items confiscated by TSA at the airport. Our items will help you breeze through airport security. Road warriors rejoice! NO ANIMAL TESTING. Safe ingredients and effective products and we never, ever, test on animals. There really is nothing more Liberating than being hair free! Why we need the Wax Warmer? 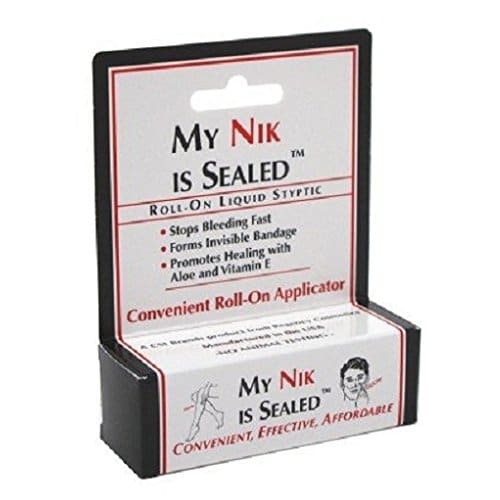 ✔ QUALITY SAFE MATERIAL – FDA/FCC Approved. Upgraded heat-resistant ABS material for SKINOSM wax warmer that is nonflammable, hard and prevents wax warmer from overheat, melted and bubbled. Supports a wide range of temperatures from 160℉-240℉ which melts wax quickly and evenly within 10-15 mins. 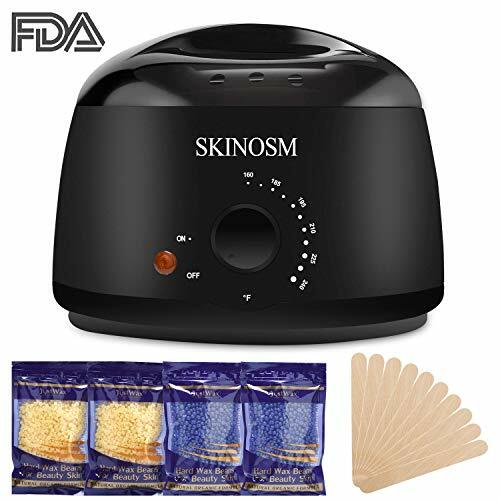 ✔ SKINOSM HOME WAXING KIT INCLUDES – New Generation Wax Warmers Electric Heater 500ml (1 unit), 2 Flavor Hard Wax Beans 4 Pack(3.5oz/each), Wooden Spatulas / Applicators (10pcs). Large-capacity 500ml waxing pot can be used for heating different types of wax, like beads wax, hot wax pellets, paraffin wax, wax beans, bricks bikini wax kits, film wax and hair waxing kits. ✔ LONG LASTING RESULTS – Skip the hassle of daily shaving. Our high-grade wax beans melt quickly, grip each strand of hair and removes unwanted hair in the bikini area, back, face, eyebrows, legs, arms, facial and brazilian waxing from the root delivering a painless experience while not having to deal with messy and cumbersome wax strips. ✔ SAVE MONEY – Stop paying for expensive salon hair removal treatments and brazilian wax kit! Our waxing kit is so simple to use even for first-timers simply melt the wax beans in the wax warmer spread onto your skin and peel away. 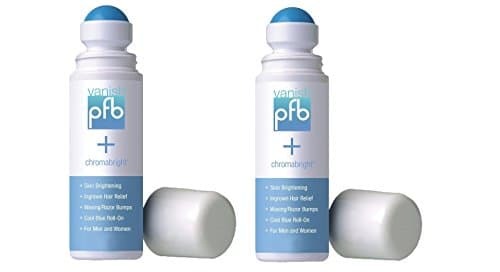 You will be left with soft smooth skin you’ll want to show off. Removes unwanted hair including the finest fuzz in the bikini area, eyebrow, legs, under arms, leg, nose, facial and brazilian waxing. ✔ WORRY-FREE GUARANTEE – Our priority is to make sure we provide you a top-quality product that meets and surpasses needs. If for whatever reason you don’t love our wax warmer kit, let us know within 30 days, and we can give you a full refund or send you a replacement, no questions asked. Buy in confidence. 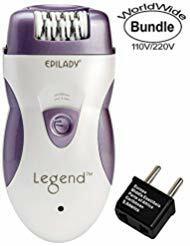 ❤ Face Usage: Due to soft sensitive facial skin, first coated with a little hair removal product, no discomfort or allergic reactions, can be ensured. ❤ 1, hair removal site does not apply hot water and soap or wash, are not just using sweat or deodorant within 24 hours after epilation. ❤ 2, if not accidentally on the depilatory mousse, flush immediately with water. ❤ 3, nose, ears, breasts, intimate parts. Injury and inflammation of the skin are not suitable if they apply. ❤ 1, wet skin after use 2, the first processor under the hair in one direction over the hair, do the hair removal from the desire of the parts 10-15 cm to use, press firmly on the top of the bottle, spray the mousse on the site To A Hair removal (when not hesitate to spray press firmly). ❤ To spray the legs and hands, work with up and down fast-moving action in order to ensure a uniform spraying mousse for hair removal on the website. ❤ After a good spray spray if more, it is better to approach the bar this because if sprayed too much penetration will be relatively strong small sting (non-allergic). ❤ 3, depilatory mousse left in the hair for 6 to 12 minutes, depending on the thickness thick juvenile hair can be, at least five minutes, after all, it is a light-type. ❤ 4, try to remove the hair, the reverse is better (such as hair can be easily cleaned, you can follow the 3, continuous), and then with water to wash away the scum residue. Dry with a soft towel. ❤ hair removal site does not apply hot water and soap or wash, are not just using sweat or deodorant within 24 hours after epilation. ❤ if not accidentally on the depilatory mousse, flush immediately with water. ❤ nose, ears, breasts, intimate parts. Injury and inflammation of the skin are not suitable if they apply. 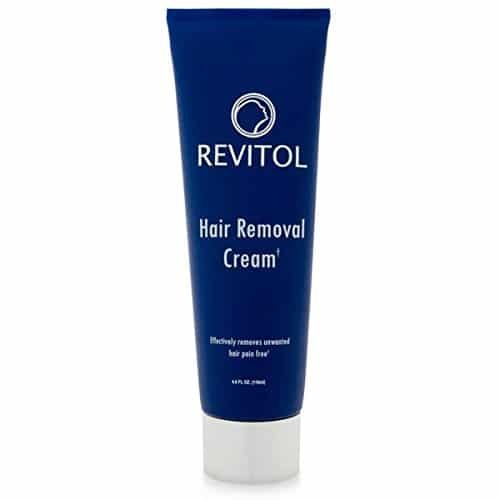 Revitol Hair Removal Cream is top rated hair vanishing cream painlessly eliminates unwanted body hair while protecting it and infusing skin with anti-oxidant complex, containing aloe vera and natural plant extracts. Hair is delicately removed from the follicle bulb, leaving the skin baby soft and supple. The hair becomes thinner and finer over a one to four month period. Most people report hair stops growing with ongoing maintenance. Revitol Hair Removal Cream process conditions, moisturizes and protects the skin. Never shave, wax or tweeze again. Imagine having smooth, hairless skin all over your body without having to shave or wax ever again! Revitol Hair Removal Cream makes eliminating un-wanted body hair easy and painless. Revitol Hair Removal Cream works equally well on men and women; it is safe for use on any body part and it only requires one application.